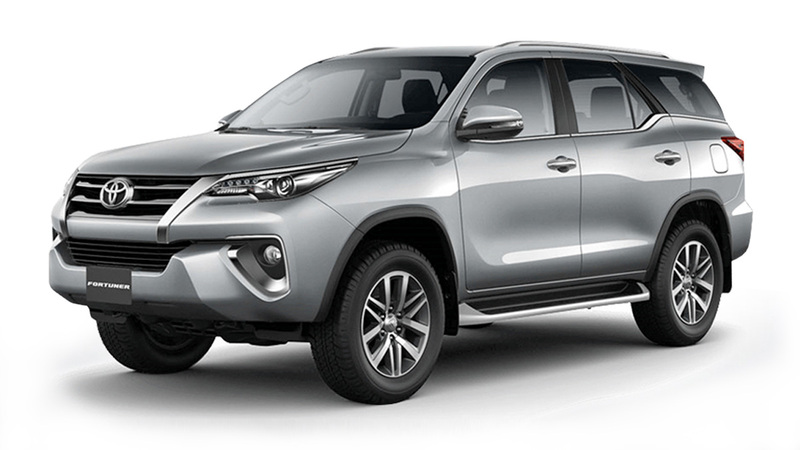 As part of the ‘Innovative International Multi-purpose Vehicle’ triumvirate alongside the Innova and the Hilux, the Fortuner was the first truly 21st century ladder frame SUV in its class. Over the years, it has ruled the sales charts thanks to a combination of rugged appeal, durability, and that all-important Toyota badge. The model got two facelifts, with the more extensive one in 2011, which saw the relatively anemic base 2.5-liter diesel upgraded to 142hp. 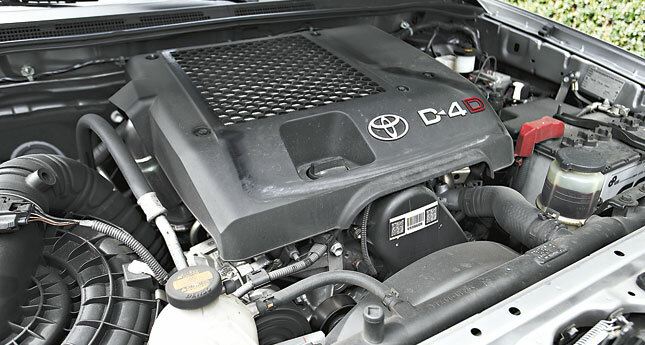 But the Fortuner to have has always been the 4x4 V, with its 163hp 3.0-liter diesel. With the new model already out, could now be the right time to snap one up secondhand? 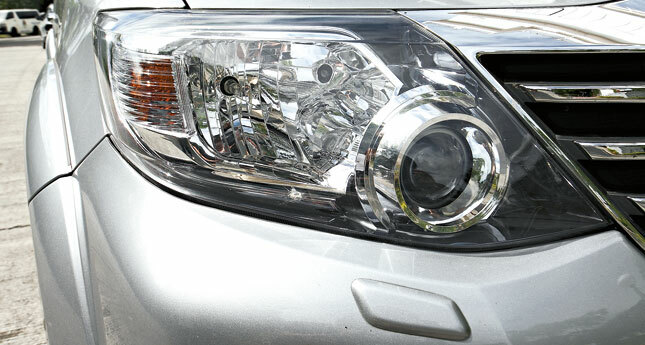 While used Fortuners are plentiful, they’re not cheap. Earlier 4x4 units list anywhere from P650,000 to P950,000 depending on year model, but the asking price for 2012 and newer units is a steep P1.25 million, thanks in part to the better kit. The 2.7-liter gasoline variant is a good bargain if all you’re looking for is some power. The 2.5-liter diesel is a more frugal option than either of the others, though pre-2012 variants are frustratingly torpid. For pre-2012 cars in general, ask for documentation for warranty work in regard to the general airbag wiring recall for these trucks. For all year models, make sure to check the rear drum brakes, which tend to need extra TLC if the previous owner had a heavy right foot. Aside from this, Forts tend to be quite reliable, but it’s always a good idea to listen for strange noises from the turbo or the transmission on the test drive. Though rather bland and inoffensive at launch, the Fort got some added machismo with the 2009 facelift, with its boxier Prado-ish lights and grille. The more major 2012 facelift brought nicer alloys, a new bumper, a bigger hood scoop, ‘Altezza-style’ rear lights, and a return to a sleeker front-end design. The rest of the body panels remained relatively untouched throughout the production run that spanned an impressive 10 years. Early V variants had a grayish-beige interior with silver accents. 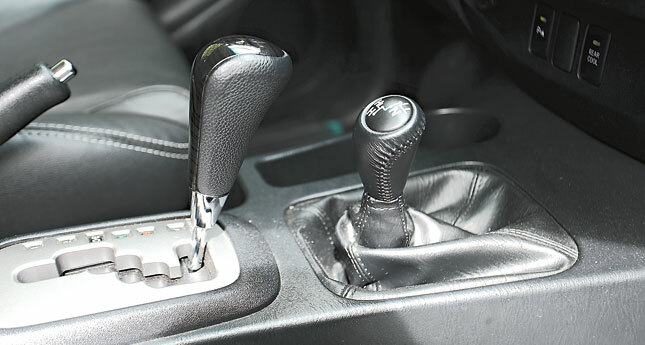 The 2009 refresh introduced more beige, reddish-wood grain trim, and steering-wheel audio controls. From 2012, units like this one feature a premium-feeling black-and-gray interior with a leather and wood trim wheel, contrast-stitched leather seats, and black woodgrain accents. It feels more durable than the beige fabric and leather of older units, and is certainly worth its contribution to the price premium. Don’t expect a complete suite of modern niceties, though. While you get parking sensors and a rudimentary eco display built into the console, stuff like traction control, Isofix child-seat mounts, fold-flat rear seats, and push-button ignition are conspicuously absent here. 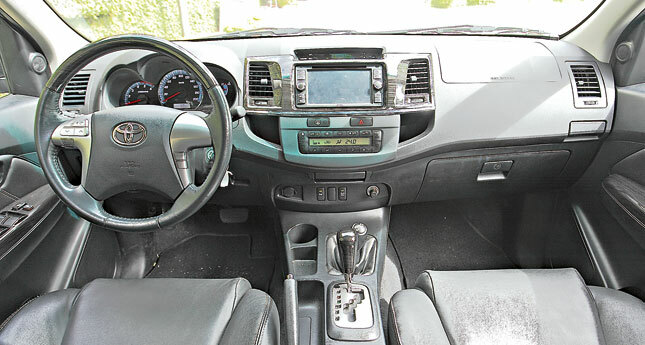 Thankfully, these cars get a sharp-looking nav-equipped touchscreen head unit in place of the generic Toyota-branded head unit on older 4x4 variants. At launch, the 3.0-liter D-4D’s 163hp was arguably best in class. While it has since been eclipsed, easy-going torque and smooth power delivery still make for pleasant motoring. The old- fashioned four-speed automatic and permanent all-wheel-drive system take a toll on fuel economy, which is around 6km/L in traffic and 12-14km/L on the highway. At least the locking center differential and low-range transfer case provide good off-road traction. There were issues with early Denso high-pressure fuel pumps, but these cases were sporadic and appeared to be partially due to the poor lubricity of early Euro 2 fuels. Indeed, reports of the infamous “D-4D failures” petered out a few years back, but it’s still worth changing the fuel filter regularly, just in case. The original Fortuner was a step ahead of its rivals, with good agility and stability, but the game has moved on over the past 10 years. While the handling is still basically good, the jittery ride falls short compared to more modern SUVs. The stiff setup and standard Bridgestone Dueler HT tires can also be a deficit in slippery situations. On the bright side, the high seating position makes it easy to navigate through traffic, and the Fort’s low hood makes it easier to park than some boxier SUVs. 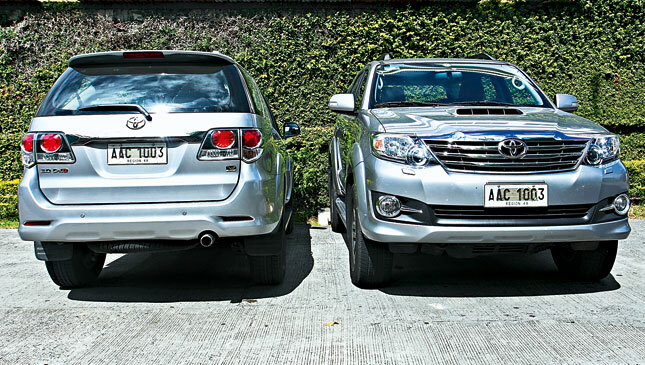 The 4x4’s rear parking sensors also help when maneuvering in tight parking spots. 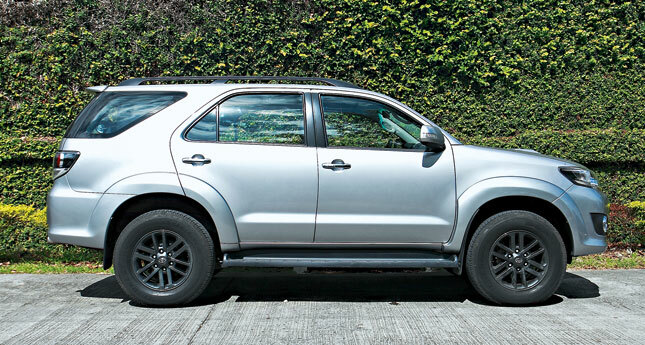 Since its launch, the Fortuner has helped redefine the local SUV market, democratizing SUV ownership and gathering a cult following among off-roaders and non-enthusiasts alike. While Toyota’s crazy-high resale value makes it a pricey option, there are few secondhand trucks as trouble-free or dependable as Toyota’s bread-and- butter battlewagon. Quick fact: While the rather soft looks have earned it the unfortunate nickname ‘Fortuna’ in some places, rugged Hilux underpinnings make the Fortuner massively popular with off-roaders. 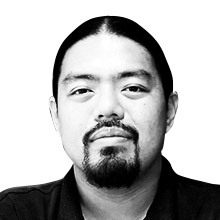 Note: This article first appeared in Top Gear PH’s February 2016 issue. 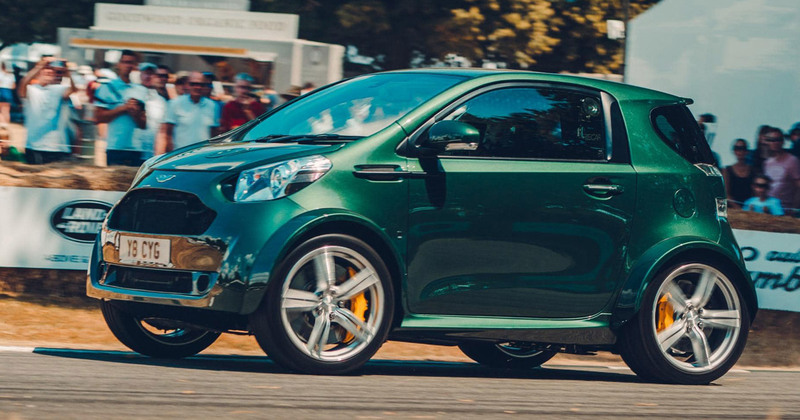 Would you like to drive a 430hp V8 city car every day?